Blouse by STEFFEN SCHRAUT with 1/2-length sleeves. Modern and feminine! 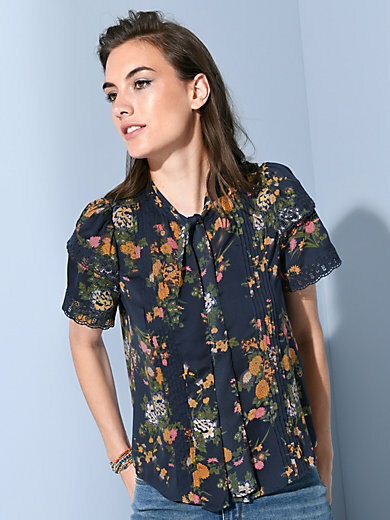 The fascinating floral print and pretty details such as a bow at the neckline, flounce and eyelet embroidery at the sleeves, and tucks at the front make for a stylish blouse. Summery-light with a pleasant drape in crease-resistant material made from 100% polyester. Length approx. 60cm/24ins. Hand wash recommended.